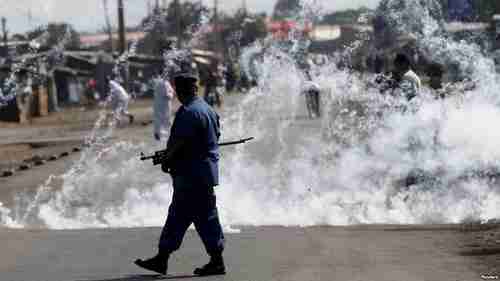 In Burundi's capital city Bujumbura in the last 24 hours, police and security courses controlled by Hutu president Pierre Nkurunziza killed seven additional people who opposed Nkurunziza's unconstitutional third term. At least 240 people have been killed since April, when Nkurunziza announced his candidacy, and about 215,000 others, thought to be almost all Tutsis, have fled to neighboring countries. The latest killings included the wife and child of an assistant pastor of an Anglican Church. I've heard several analysts say that there are no signs of anything like a repeat of the 1994 Rwanda-Burundi Hutu-Tutsi genocide, and that's absolutely correct. It's only been 21 years since event occurred, a genocide so horrific that it's considered one of the worst of the century, comparable to the Nazi Holocaust. Since only 21 years have past, there are many, many people still alive who are in the generations that survived that event, and who will not let it happen again. However, there may be a different kind of genocide in progress, far smaller, and far less memorable, but a genocide nonetheless. As I've written in the past, it appears increasingly that Nkurunziza is planning to copy the technique of Zimbabwe's Robert Mugabe. Mugabe is best known for his 1984 genocidal pacification campaign known as "Operation Gukurahundi" (The rain that washes away the chaff before the spring rain). During that campaign, accomplished with the help of Mugabe's 5th Brigade, trained by North Korea, tens of thousands of people, mostly from the Ndebele tribe, were tortured and slaughtered. So far, Nkurunziza hasn't gone as far as Mugabe, but he is systematically slaughtering and torturing peaceful protesters from the Tutsi tribe who oppose his grab for power. We see the same thing happening in Syria, where Shia/Alawite genocidal monster president Bashar al-Assad transformed peaceful protests in 2011 into a genocide against innocent Sunnis. Like Nkurunziza and Mugabe, he's willing to slaughter any number of people, just to stay in power. "The European Union considers that the essential elements have not been met by the Republic of Burundi. Following the consultations held in Brussels on 8 December, the European Union took note of the replies given by the Burundi Government and its commitment to provide clarifications to questions and to accelerate certain judicial procedures. Nevertheless, the European Union considers the positions expressed do not help to improve the breaches of the essential elements of its partnership with the Republic of Burundi." The "essential elements" referenced include progress on human rights, democratic principles and the rule of law specified in an EU-Burundi agreement. Presumably "not killing peaceful protesters" is in there somewhere as well. "I would not say that tomorrow there will be a genocide in Burundi. But there is a serious risk that if we do not stop the ongoing violence, this may end with a civil war and following such civil war everything is possible." "The Special Adviser on the Prevention of Genocide acts as a catalyst to raise awareness of the causes and dynamics of genocide, to alert relevant actors where there is a risk of genocide, and to advocate and mobilize for appropriate action. The Special Adviser on the Responsibility to Protect leads the conceptual, political, institutional and operational development of the Responsibility to Protect." But as wonderful as Dieng and his mission are, his budget depends on how many genocides and almost-genocides and potential-genocides he can identify, so it's to his benefit to exaggerate the possibility of genocide. 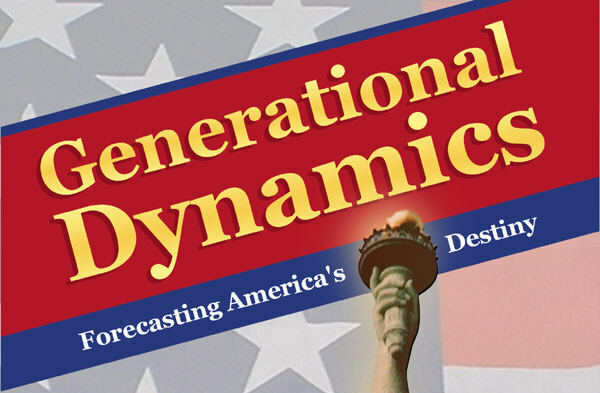 As I wrote above, a 1994-style civil war is not occurring, and from the point of view of Generational Dynamics can't occur during a generational Awakening era. The 1994 genocide came "from the people": For example, a Hutu who has lived next door to a Tutsi family in peace, and their children had played together and all that, suddenly picks up a machete, goes next door, kills and disembodies the husband and children, then rapes the wife and kills and dismembers her. Nothing like that is happening in Burundi, or could possibly happen, since the survivors of the 1994 war won't let it happen. Today's genocide is all political, all from Nkurunziza.